It has taken a few years, though smart home systems have finally gained acceptance as a very desirable feature to integrate into a home of any size, shape, or style. It does not matter if you live in a 1,200-square foot bungalow on the beach, a condo on the 16th floor in the city, or a sprawling mansion in the country, a smart home system can afford a wealth of benefits that extend beyond being able to wow your friends and family with a suite of fancy new electronics. We are talking real, practical value that can impact every facet of your life—from the moment you wake up until you hit the sack, and even while you are away at work, running errands, or miles away on vacation. Note: In this article we will be using the term “home automation”, “smart home”, and “home control system” interchangeably, as they are generally terms for the same thing: a “smart” system that gives you intuitive and sometimes automated control of some or all of the following amenities in your home: music, TV, lighting, security, surveillance, climate, window treatments, pool/spa, and more. With forecasts from research firm Gartner Research indicating that a typical family home could contain more than 500 “smart” devices by 2022, you will need a way to effectively manage them—and nothing does this better than a smart home control system. Engineered to supervise the operation of your home’s amenities in an intuitive way (see definition above), you can sit back, relax, and enjoy how much more comfortable, efficient, and convenient life at home can be. So, what’s holding you back from adding a smart home system to your home? Maybe it’s the cost that is intimidating you. Perhaps you’re skeptical of the reliability of the technology. Or in the back of your mind, you may be thinking that it’s going to be a hassle to have it installed. These are all valid concerns, and years ago when smart home technology was in its infancy, this logic was legitimate. But as with any budding technology, smart home systems have grown increasingly smarter, dependable, and economical. Yes, economical. Over the past several years, big names in the smart home industry have taken huge steps in making their professionally-installed system more affordable. Today, you can have a very capable smart home system installed and configured by a professional integrator for less than you would spend on a family vacation. Still, it’s an investment, and you might be wondering if those DIY-friendly smart home systems available online and at your local home improvement store are worth a look. With these basic solutions, you will not need to worry about running new wires. These smart devices connect to their hub (the smart home system’s “brain”) wirelessly, usually via Wi-Fi. Sounds easy, right? But be aware, if the Wi-Fi in your house is finicky, your wireless smart home system will suffer from communications glitches, like the lights not turning on when you tell them to. You may also run into minor (or major, depending on your level of technical aptitude) hiccups during the configuration of a DIY home automation system. As simple to install as they promise to be, like any home improvement, it’s never THAT easy. Many of the stores that sell these systems offer some level of technical assistance, though if you are even the slightest bit nervous about tackling the design and installation of a home control system on your own, it’s wise to consider the systems and services offered by professional home technology integrators. You will find the best quality smart home installation firms by using the Home Technology Association’s installer finder at this link. Sure, you’ll pay more for a more capable smart home control system designed and installed by a professional than you would for a system you picked up at your local home improvement store, though pro-oriented solutions offer better reliability, offer more flexibility to meet your lifestyle needs, are more intuitive, and can manage tasks that DIY systems simply can’t handle. 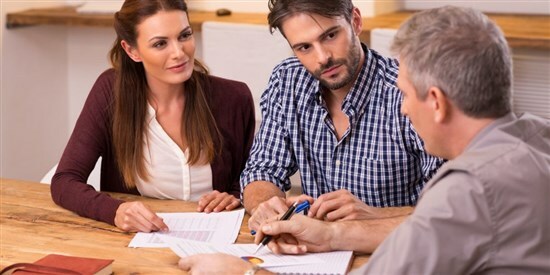 Having someone do the work for you also saves time, aggravation, and, in some cases, money. Let’s say you connect your DIY system incorrectly (hey, it can happen); you could end up spending more than your initial investment fixing it. A well-trained professional, by contrast (ideally an HTA Certified installation company), gets it right the first time. Professionally-installed home automation systems like those from Crestron, Savant, Control4, Elan, Josh.ai, and others are capable of managing just about anything you can imagine. However, some systems are more flexible than others. It is wise to consult with a home technology integrator to find out if the solutions they offer fit your needs. For example, some very basic control systems are mainly focused on home security, though can also automate lights and thermostats. If home protection is your primary objective, a security-focused automation system would be a good choice, giving you the safety features you need with some extra features. On the other hand, home entertainment might be top on your wish list. In this case, a control system that consolidates and manages your home theater components yet can also be expanded to automate lights, shades, and other items would make sense. First and foremost: Find a smart home solution that includes the features you deem most important. Consult an HTA Certified technology integrator for personalized advice. Part of getting it right involves “sizing” a system to the scope of the project, your budget, and your expectations. The Home Technology Association's Budget Calculator is a great resource for this, which you can access at this link. For example, a family living in a 2,000-square-foot home interested mainly in security can get by with a less sophisticated and less expensive system than a family occupying a 10,000-square-foot home that wants to automate everything but the kitchen sink. A professional home technology integrator will explore your needs first and then recommend a suitable system. Also, consider a system’s scalability. 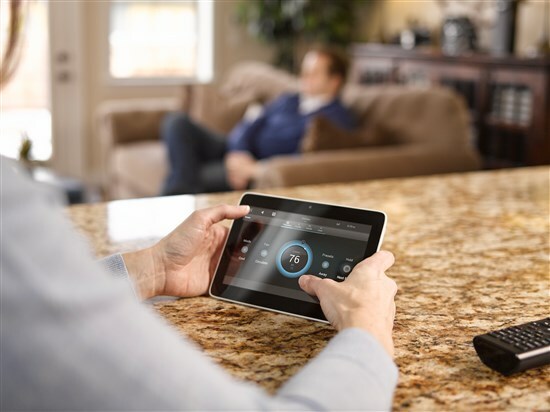 Technology advances at a dizzying pace, so be sure your smart home system can be easily updated and expanded to handle new features and technologies as they come along. Some of a system’s expandability has to do with its level of integration friendliness. You will be able to incorporate a variety of different products from different manufacturers when an automation system supports a high level of integration. Professionally-installed smart home systems excel at this; typically DIY solutions are much more limited. Your life doesn’t stand still; neither should the capabilities of your smart home system. Your control system should be able to adapt as your family dynamic shifts—a new baby, kids moving out, a kitchen remodel, caretaking of elderly parents, or a million other things that impact how you live in your home. Some systems are better at adjusting to a person’s lifestyle than others. Modifying them is usually easy and will not cost an arm and a leg. Some of these changes can be made remotely from your technology integrator’s office. Manufacturers are increasingly opening their pro-level systems to allow homeowners themselves to make minor adjustments; no longer is there a need to call your home tech pro every time you want a lighting level changed, for example. These types of flexible systems are particularly helpful to households as you can customize your system throughout its life so that it always seems new and fresh—never old and outdated. Also important to consider when choosing a home automation system is the design of its “user interface”. Each brand will have a different look and feel. Which do you find most intuitive? You can often sample a brand’s user interface by downloading apps from the iOS App Store or Google Play store and giving them a virtual test drive. Often these apps will allow you to see a sample of their control interface. If you want something completely unique and tailored to specialty needs, some smart home brands allow the entire user-interface to be completely customized. A home automation system is an amenity that you will engage with daily, so be sure that you feel comfortable using it with whatever tools the manufacturer offers—including voice control. Operating elements of your home by issuing simple voice commands has turned home control on its head, offering a completely hands-free mode of control that you’ll definitely want to incorporate on some level. Whichever home automation interface initially strikes your fancy, know that a home technology installation professional can tweak it to simplify even the most complex automation routines. A button on keypads, tablets, phones, and remotes labeled “Party” could activate certain lights, cue a favorite song on a playlist, deliver that song to the kitchen and family room, adjust the thermostat, unlock the front door, and turn off the lawn sprinklers. In seconds your house is ready to entertain. You can use the same interface to also view real-time footage captured by surveillance cameras, monitor the status of every integrated system, peruse and manage your entertainment library, and more. The smart home system's control interface becomes the dashboard of your house, putting you in the driver’s seat where you can effectively monitor, manage, supervise, and control anything and everything. With the help of a home technology professional, these types of smart home control solutions can simplify your life so you can enjoy a household that’s more convenient, efficient, and enjoyable. For next steps, use the Home Technology Association’s Budget Calculator to create a sample budget range for your smart home system by clicking here. Once your budget range is determined, you will be presented with links that will lead you to HTA Certified smart home installers in your area. You will also find it helpful to read the following budget advice article by clicking this link > “How to Budget for Home Technology”. The Home Technology Association is a founding member of National Smart Home, a community of manufacturers, suppliers, and integrators in the Smart Home industry. 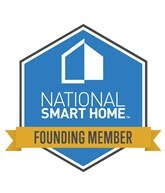 Their website is https://nationalsmarthome.org, though as always, it is in your best interest to make sure any home technology professional you hire to install your smart home is HTA Certified. See the HTA Certification defined page by clicking here to read what the HTA Certification standard is.